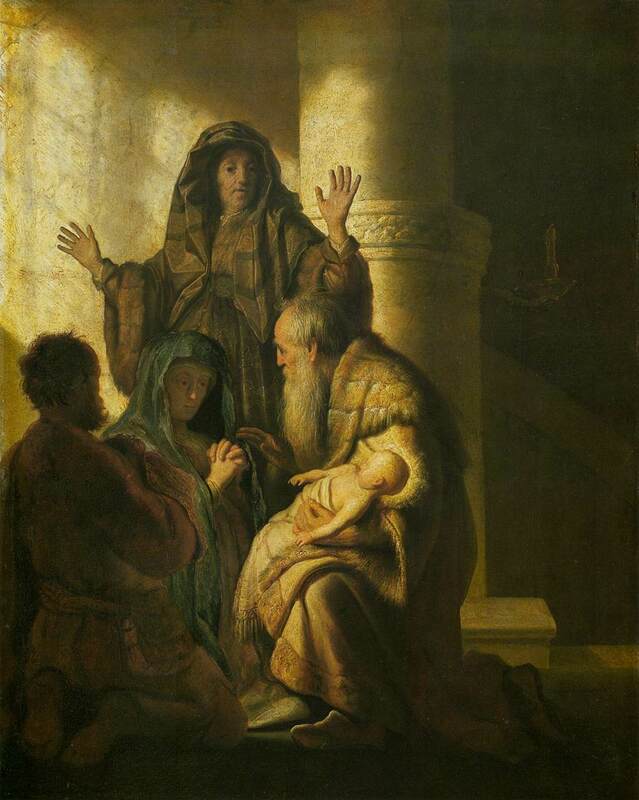 The Song of Simeon (Luke 2:29-32) sounds a note of joy in a fulfilled personal promise from God and then connects it to a salvation for the wider world. Have you ever had such a connection with God? How do we connect the “I” of our being with the “We” of those around us, and then with the “World” as a person/people of Faith? Have you ever had a “Song” like Simeon, Mary or Zechariah? Simeon – Painting by Rembrandt. Image courtesy of the Queen of Angels Foundation. Profound intuitive insights are often “mountain top” experiences in that it is from the ecstatic heights of those events we can touch the sacred yet it is also from there we may be gifted with a 360 degree view that more deeply connects us to the reality around us. However, it may take time for the clouds to clear on the mountain top before we can see the grander view. Sometimes, the personal experience may be so complex and so disruptive to one’s life that the person will need a long while to develop the “song” that he or she can give back to the world. It often takes time to understand the meaning of the personal gift. Sometimes, an initiation or education is required to understand how this experience fits into the greater context of one’s life before one can present one’s gift to the world that is characterized by the song. This is exactly what happened to me with my kundalini event when I experienced, along with the release of powerful energy, an oral intuitive insight. 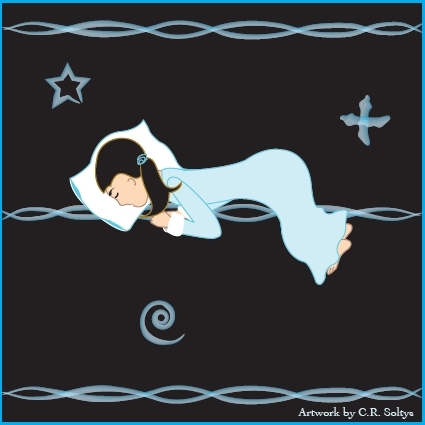 I heard a gentle but quite authoritative voice say “I have chosen you.” While I was never told specifically what I was chosen for, dreams have suggested certain tasks. Seven years later, I am still trying to discover what I have been chosen for while I try to pursue a spiritual path with every choice I make. One thing I know very clearly is that what I do and the choices I make must serve a higher purpose in line with my ideal. These choices in turn connect me with the wider world. I trust my song will include the choices I make on a daily basis that reflect my highest ideal. Sometimes one can only trust that one has made the right choices and it will come out all right in the end, as it did for Simeon. He must have lived for a long time with nothing more than his choice to trust and hope in the revelation he received. One wonders how this divine inspiration transformed him personally. Certainly, it gave him clarity of sight to recognize the redeemer in a little infant. In a dark time of spiritual decay and foreign oppression, Simeon was the perhaps just one of the few bearers of a saving vision for his people. When he saw the truth of his vision in the flesh he was then able to sing his song to the world. The Song of Simeon underscores the importance of holding on to intuitive insight in time of adversity. I personally believe this is one of many reasons why we are given visions in the first place: to get us through the hard times. Holding on to a vision keeps us steady in the difficult business of undergoing transformation. The new awareness arising from the struggles of our transformation is the song we will give others. In Luke 1:18, Zechariah asks Gabriel, “How will I know that this is so?” A good faithful person can have their doubts about God. What is the cause of our doubt? In most cases I think doubt is caused by believing that things can never be other than they are, especially as we have always experienced them. Just being human in a worldly society conditions us to take what we see, hear and touch in the three dimensional world as more “real” than what we hold as an ideal or a miracle that we have heard about—especially if we feel buried under the constraining weight of that reality. Zechariah, based on his own experience, probably thought as we think that old women can’t have children because he personally didn’t know any old women who did. Yet what I find interesting is that 1) he must have known the story of Abraham fathering Isaac when both father and mother were well into their dotage. The concept was there that God could do this sort of thing. And 2), he didn’t seem to question the fact that he was dealing with a real angel and not an illusion. A vision is a type of intuitive insight. Zechariah, to his credit, did not doubt he had a powerful vision nor did the people waiting for him. Its effect was obviously overwhelming for him and all concerned. 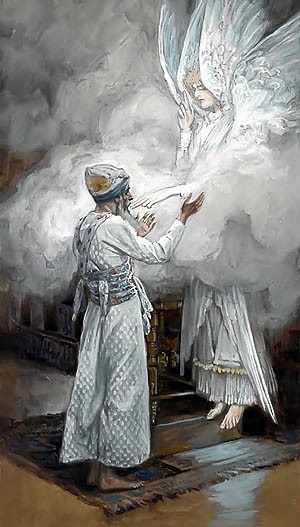 If this happened today, Zechariah most likely would have been prescribed medication and told to go home and forget it because a great many people in our contemporary culture don’t believe God acts in special ways with ordinary people. This then points to another cause for doubt for Zechariah and for us—and I think a much more significant one for those of us who know that the transcending divine power can break through into our lives—is a questioning whether God would do something so touching for me. Obviously this miracle of a birth in old age would release not only the deep suffering Zechariah and his wife faced but also give him his place in Jewish history as fathering a special prophetic son—“to have such a son!” as they would say. Anyone familiar with Hebrew scripture would know this was a miracle on the order done for Zechariah’s glorious ancestor Abraham. I think almost anyone of us would react the same way because a person has to have a very strong sense of being special to God NOT to doubt that God wants to work miracles personally through him or her. To get such news would be a humbling experience, leaving most of us speechless or feeling like we are candidates for the funny farm. On the other hand, Mary replies to Gabriel (Luke 1:38), “Here am I, the servant of The Lord; let it be with me according to your word.” What does it take to risk for God? Have you ever known that kind of faith? In contrast, even with her initial astonishment and perplexity, Mary’s response to how God wants to work through her typifies that of a person who has a deep intuitive understanding of her relationship to God and is comfortable with it. She clearly knows her status as servant in relationship to God and is well aware that God can ask anything of her and she will do it. Because she is naturally humble, her amazement is what causes her to be astonished and perplexed that God asked her, a lowly person of no account, to do something great, worthy of a person of high status. 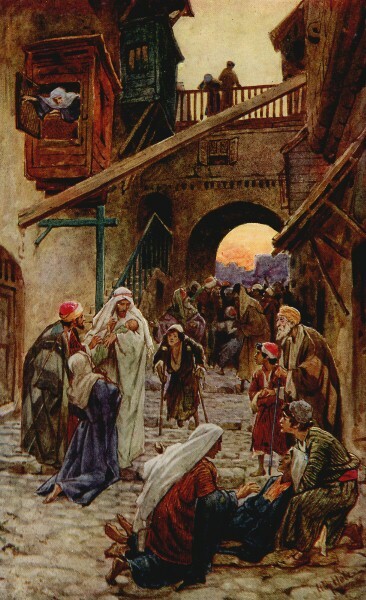 Unlike Zechariah who is blinded by a false pride that nothing can be done for him—a common feeling among all of us when problems pile up—Mary’s clear understanding of the all-encompassing power and mercy of God allows her to respond unreservedly with profound joy and gratitude, making her an ideal open channel for God’s grace in the world, and thus making it possible for her to give birth to the Divine in this world. 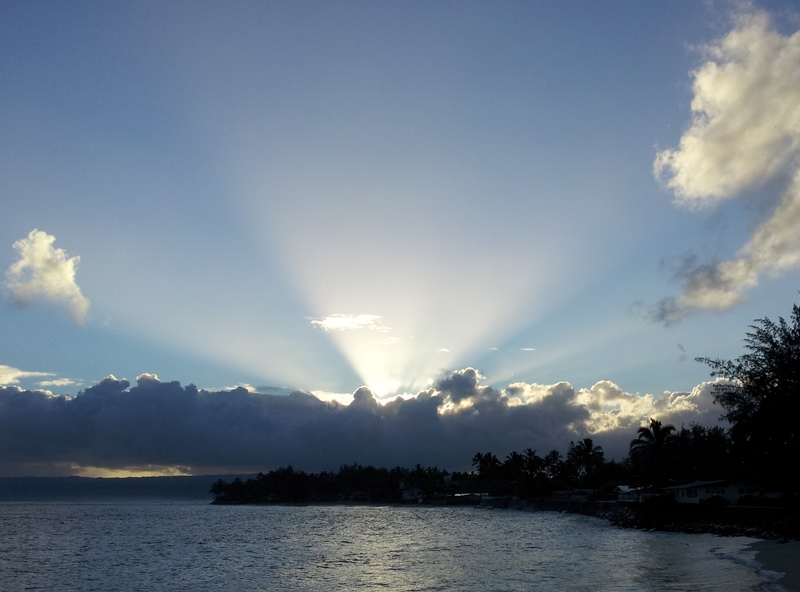 In a sense it is a model for all of us who are called to be channels for divine graces in a variety of different ways. The characteristics of this kind of faith are a capacity for joy, an unconditional trust, a willingness to risk all, to go for broke, and a profound sense of gratitude for the risk we have been asked to make. After getting assurances from two psychologists that I wasn’t going crazy, I intuitively felt called to move in a new direction, and the more I could unreservedly go in that direction, the better off I would be. It meant gambling my recently acquired inheritance by investing in a move to a faraway location and preparing for a new career in a field that has no well -paying, secure job openings. More importantly, it meant making the decision to go off the strong medications that had brought me back to “normal.” This was a scary and dangerous risk which my doctor opposed because of the difficulty most people have in dealing with such a condition. However, this was something I felt called to do. Because I knew what kundalini was I knew I could trust its work in my system. It meant allowing this energy do its cleansing work through my body, psyche and soul—something Philip St. Romaine has compared to sitting on the edge of a volcano and watching it erupt. Beyond the considerable strange and frightening physical sensations which for me mimicked having strokes and heart problems, I was observing the unraveling of my protective ego masks—something that surpasses any TV horror show because it is real and it was happening to me. All I could was trust unreservedly because what is happening is the birth of a higher state of consciousness and a healthier, detoxed body that most people experience who are willing to go through the difficult process. The attitude of complete trust, I discovered, was what alleviated the difficult physical, emotional and spiritual aspects of my kundalini experience and was what opened me to experience ecstatic joy AT THE CELLULAR and ENERGY FIELD LEVEL called the kundalini awakening– an experience I think many humans are meant to know because it is a visceral knowledge of our truest selves. Now I have nothing but gratitude for the experience and it is a humbling one since, naturally, I was more like Zechariah than Mary in my willingness to undergo the process. For an informed description of kundalini energy in a Christian context, please see Kundalini Energy & Christian Spirituality by Philip St. Romaine. 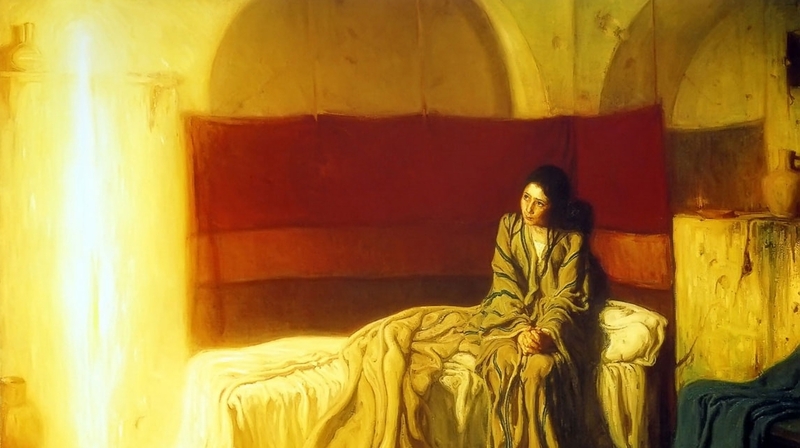 Compare the Song of Mary (Luke 1:46-55) and the Song of Zechariah (Luke 1:47-55). To whom is each addressed? What do they tell us about God and God’s relationship with God’s people? What about God in our lives? Mary is speaking to Elizabeth as she responds to the joyful greeting of her relative. It is the ultimate joyfest of two blessed women who have been elevated to high status after experiencing lowliness and disgrace. They know the power of their God, now not just in faith which is a form of intuitive understanding, but literally in the flesh. This is a perfect example of how intuitive truths must first be held in ideal form, and adhered to during a time of testing long before they are manifest on the physical plane. This is how energy works, gives life and shapes form on the physical plane. It is always God who calls us to greater risk that we might become greater people with the unique genius that God wants expressed in each us, even if it is just the grace of doing little things in a loving way such as St. Therese of the Child Jesus manifested. A strong relationship with God provides the firm bonding needed to withstand the power of divine energy moving beyond the usual but subtly and often missed supporting expressions in physical form to an apparent miracle producing event of startling proportions. Zechariah is addressing the people who came to perform the circumcision on his son. These people were probably either priests or functionaries of the temple, people responsible for handing down the traditions of the Hebrew heritage. In this scene, Zechariah is clearly inspired because now his tone of speech is joyful, authoritative and healing to his people. It is no longer fear filled and doubting. His transformation shows us how we, too, can be made over to communicators of God’s astounding graces despite all our shortcomings, doubts and anxieties.